An American professor has become the first woman to win the Able Prize, one of the world’s most distinguished mathematical awards. Karen Keskulla Uhlenbeck of the University of Texas at Austin was awarded what many consider to be the “Nobel” of maths, which is handed out annually by the King of Norway. 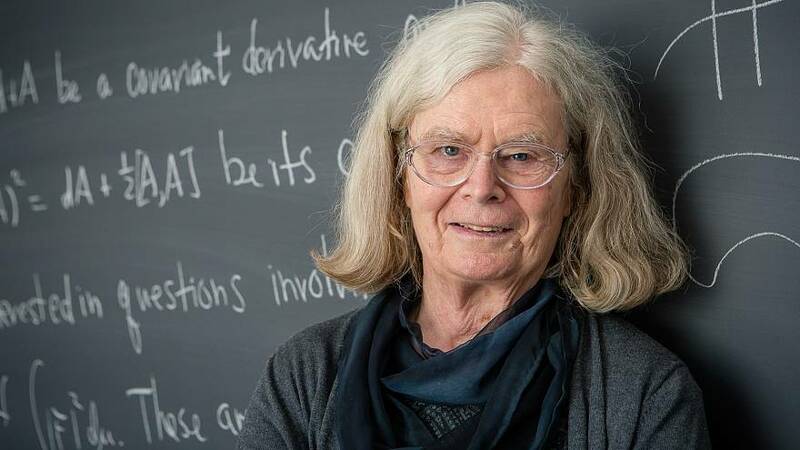 Uhlenbeck, 76, won the award for her pioneering achievements in geometric partial differential equations, gauge theory and integrable systems and for the fundamental impact of her work on analysis, geometry and mathematical physics. The Able Prize says Uhlenbeck’s work has led to some of the most important advances in mathematics in the last 40 years. “Her theories have revolutionized our understanding of minimal surfaces, such as that formed by soap bubbles, and general minimization problems in higher dimensions," said committee chairman Hans Munthe-Kaas. Able also noted that Uhlenbeck is "a model to emulate and a strong advocate of gender equality in the world of Science and Mathematics" and her contributions to the math universe have spanned decades. In 1990, in Kyoto, Japan, Karen Uhlenbeck became only the second woman to give a Plenary Lecture at the International Congress of Mathematicians – ICM – the largest and most important gathering of mathematicians in the world. Ten years later, she received the US National Medal of Science. The Able Prize began in 2002 and is named after Norwegian mathematician Niels Henrik Abel who found the first complete proof demonstrating the impossibility of solving the general quintic equation in radicals.